Currently in the UAE as a member of the Asia Cup’s technical committee, Sri Lankan cricket legend Sanath Jayasuriya couldn’t hide their disappointment at Sri Lanka’s early exit from the tournament. 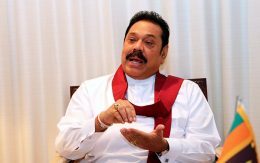 Former President Mahinda Rajapaksa has issued a press release on recent depreciation of Sri Lankan Rupee against the US dollar. 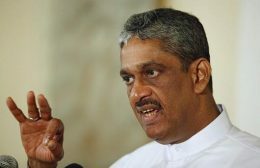 Minister Field Marshal Sarath Fonseka has arrived at the Criminal Investigation Department (CID) to record a statement. Four people of the same family have been hit by a car on the Potuvil-Akkaraipattu road, stated the police. 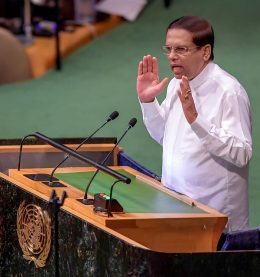 President Maithripala Sirisena called upon the world leaders to emulate Nelson Mandela, who showed the correct path by his humanitarian qualities and the love for the people.